We can help streamline your reconditioning department! Airpark Auto Detailing has over 33 years experience in automotive reconditioning services for auto dealerships in the southwest. 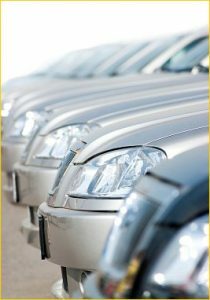 Whether it be 1 car to 100 cars a day, Airpark Auto Detailing has on-site solutions for your automotive dealership. At Airpark Auto Detailing we will work directly with dealership owners and management to come up with a cost effective solution to auto reconditioning needs. Our highly trained staff will help coordinate the entire reconditioning process including detailing, window tinting, &. paint protection film. Airpark Auto Detailing is licensed and insured. We carry on-site and off-site professional liability and umbrella policies to cover all aspects of services provided to auto dealerships. References are available upon request. Please call us at 480-998-5899 today for a free dealer evaluation and quote!